Lexington, Ky. – On a night dedicated to celebrating the horse, US Equestrian is pleased to share that HH Azur, owned by Double H Farm and François Mathy has been voted the 2017 International Horse of the Year and Cuba, owned by John and Stephanie Ingram, LLC, has been voted the 2017 National Horse of the Year. HH Azur’s raw athleticism and keen instinct for the sport was evident from the moment her hooves stepped into the show ring with her superstar rider McLain Ward at the reins. Known as “Annie” in the barn, her storybook year began with a win in the $380,000 Suncast Grand Prix CSI5* at the Winter Equestrian Festival (WEF) in February. Continuing to demonstrate her dependability and undeniable talent in a major championship, HH Azur delivered three perfect rounds to guide Ward to his first Longines FEI World Cup™ Jumping Final title in April. Following the World Cup Finals, HH Azur returned to competition at Spruce Meadows in the prestigious $400,000 Queen Elizabeth II Cup CSI5*. From there, she and Ward anchored the U.S. team to a silver-medal tie in the Mercedes-Benz Nations Cup™ at CHIO Aachen in July and a silver-medal finish in the FEI Nations Cup™ Jumping Final in September. It should be noted that HH Azur has not had a single fault in team competition in 2017. 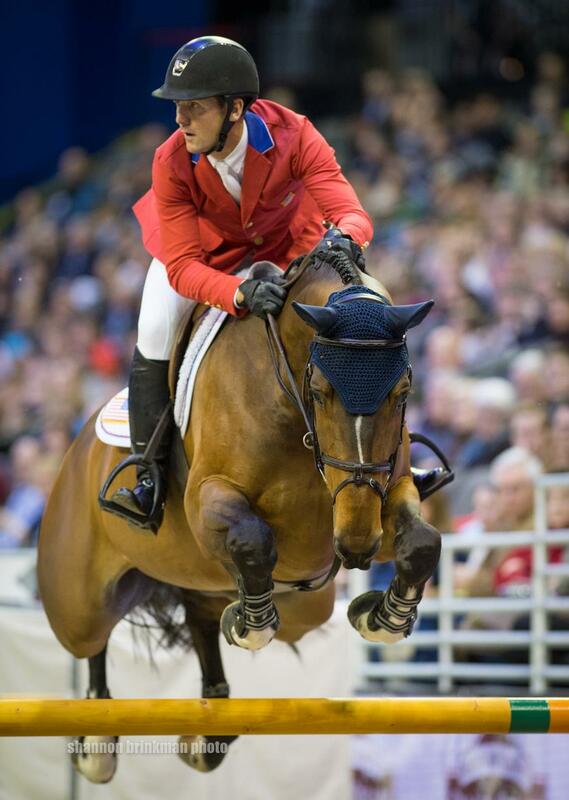 See the video honoring HH Azur at the USEF Horse of the Year Awards Gala on USEF Network. Cuba, John and Stephanie Ingram, LLC’s 10-year-old KWPN gelding, had an impressive year in 2017. Having proven himself a successful hunter, Cuba started his campaign as a Derby horse just one year ago. With rider Victoria Colvin, the pair stood out at the United States Hunter Jumper Association (USHJA) International Hunter Derby Championship in August, placing third in the Classic Round, winning the Handy Hunter Round, and finishing as the overall champion by a significant margin of 9.75 points. 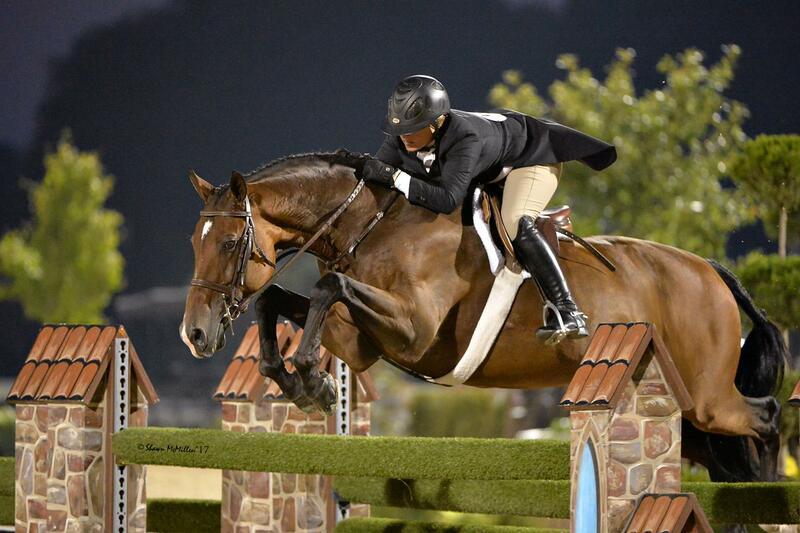 Cuba closed the competition year as the USHJA International Derby horse with most money won. Over the course of only five competitions, Cuba earned $55,853. See the video honoring Cuba at the USEF Horse of the Year Awards Gala on USEF Network.